In November 2010, when Dr. Margaret Day was a resident in family medicine at the University of Missouri, the university's health system began using computerized physician order entry. Under the new protocols, most tasks involving care management for hospitalized patients were recorded in a computerized system. But for one medication, the anticoagulant warfarin, they were not. Individual physicians would manage their own patients in the hospital and after discharge by putting plans down on a piece of paper. If they wanted, they could use a phone-based anticoagulation service to help manage patients in outpatient settings, but overall, warfarin management—and communication—proved confusing for physicians, pharmacists and patients. Warfarin is used to prevent harmful blood clots, which can cause heart attacks, strokes, deep vein thrombosis or pulmonary embolism. But the drug is tricky to manage, especially as patients move through different care settings. Dosing errors, interactions with foods and other drugs, medication nonadherence and insufficient monitoring are just a few of the challenges. Know your specific resources for anticoagulant medications, such as pharmacy telephone services, clinics or point-of-care services, and ensure that your process meets all of their needs. Educate your patients about what you're doing. Ensure that everyone involved in a patient's care-pharmacist, post-acute provider, physician-is on the same page. Complications from warfarin can be serious. According to one study published in 2011, it is iimplicated in 33% of adverse drug eventsin patients 65 or older, and nearly all of those events are from unintentional overdoses. 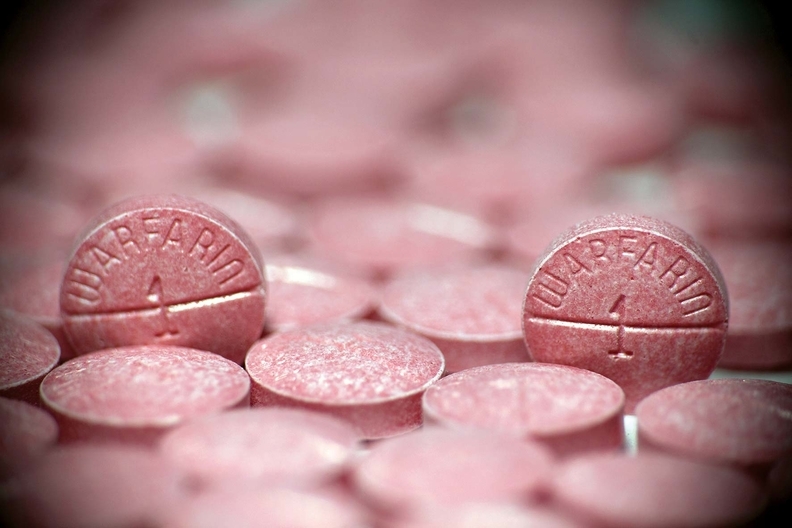 In 12.5% of hospitalizations due to warfarin, another medication was implicated. More than 21,000 hospitalizations annually are for warfarin-related hemorrhages, with estimated costs in the hundreds of millions of dollars. At University of Missouri Health Care, Day spearheaded the process of managing warfarin differently by creating an EHR order that asks physicians to list five key elements for managing the medication after a patient is discharged. The hospital uses an EHR system developed by Cerner Corp., and its in-house IT staff built the order into the system. The project didn't require extra funding or resources—“aside from uncalculated human resource costs,” Day said with a chuckle. An interdisciplinary team led by Day, including pharmacologists and an EHR training coordinator, spent nearly two years creating the EHR Outpatient Warfarin Management Order. Implemented in September 2013, it prompted physicians to enter five elements: indication for anticoagulation; target INR range (the International Normalized Ratio tells how thick or thin someone's blood is); anticipated duration of therapy; date of next INR; and post-hospital provider. Before the EHR order was created, physicians were accustomed to including the patient's diagnosis and indication for the medication in the medication-management plan. But they were not used to sharing the target INR range or how long a patient should take the anticoagulant, Day said. Should it be three months? Six months? Indefinitely? The EHR order standardized the information physicians included in the warfarin-management plan, while also rendering it far more accessible to pharmacists and other outpatient providers. The hospital conducted training for physicians to teach them how to use the order.